We’ve seen some blog grow exponentially. There’s no single recipe for this impressive growth but would you like to know some actionable tricks? 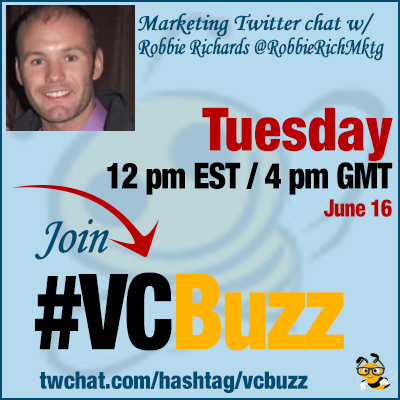 Today we are talking to Robbie Richards @RobbieRichMktg on how to grow a blog within 30 days! Haha! I live on west coast, cultures are similar. Food tastes different, & college sport is INSANE! Nothing like it in AUS. That college sports euphoria is puzzling me! I played golf at #BoiseState & got to experience it first hand. Nothing like it in AUS. I used expanded list posts in combination with skyscraper technique (H/T @backlinko) and outreach campaigns. Here is a case study that will run you through the process. I find all the people linking to 1st page content & pitch my BETTER content to them. I use @buzzstream w/ @ahrefs. BETTER usually means longer, more in-depth and immediately actionable. I spent ~10hrs writing the post & ~5 hrs running outreach and initial promotion. Yes, I’ve spent longer on posts, hence why I usually only posts 1-2 month 🙂 I spend more time promoting usually. I spend more time promoting content than actually writing it. Favorite content promo: Buzzbundle, forums, link poaching, LinkedIn groups, social mentions and more here. Кeplicating competitor links for easy wins. Absolutely! Post in point now ranks #1 for content promotion strategies, sending 25,000 people to my blog in past 9 month. I’ll continually re-promote old content through my autoresponder, internal linking and social media. haha EVERYTHING is older stuff! I take proven strategies, implement them and build out my own data-backed case studies. Q3 You’ve been doing some successful group expert interview articles (example). Can you give some tips here? How do those types of articles help a blog and how to implement that tactic successfully? I’ve had huge success w/ expert roundups. Great way to engage influencers & leverage their larger audiences to drive traffic. Tip #1: Use Google KW Planner to target low competition/ med-high volume keywords to rank page 1 & drive long term traffic. Tip#2 Make your questions so easy to respond to, people could literally answer in a tweet. Tip #3: Avoid topics you know everyone will agree on. Tip #4: Source roundup topics in communities – LinkedIn groups, blog comments, ask your email list, forums. Tip #7: Use Mozbar to analyze page #1 competition. Make sure there are sites ranking with comparable domain authority. Tip #8: Build list of experts using Buzzsumo, Followerwonk and pre-curated lists on Google. Tip #10: Use forums to find up-and-coming stars outside of the normal expert crowd. Tip #11: Look for other niche related roundups (“kw” + inurl:roundup”). They’ll feature your roundup in their’s. Easy link. Optimize on-page elements such as title tags, alt tags, headings. Include target keyword in the roundup question. People will naturally include it in their response boosting kw in copy. Q4 You mention an impressive increase in your subscribers, not just traffic (which not always grow together). How do you convert visitors into subscribers? Which tricks and plugins are you using? I also use Thrive Leads plugin and Plugmatter. Thrive allows me to create pretty much every form type you can imagine, including multi-step forms. AB test form trigger and types. I’ve found popup that display immediately on page load have a 60% higher CVR than exit intent. Send traffic to blog posts with FB ads, retarget with custom audiences if they don’t convert.